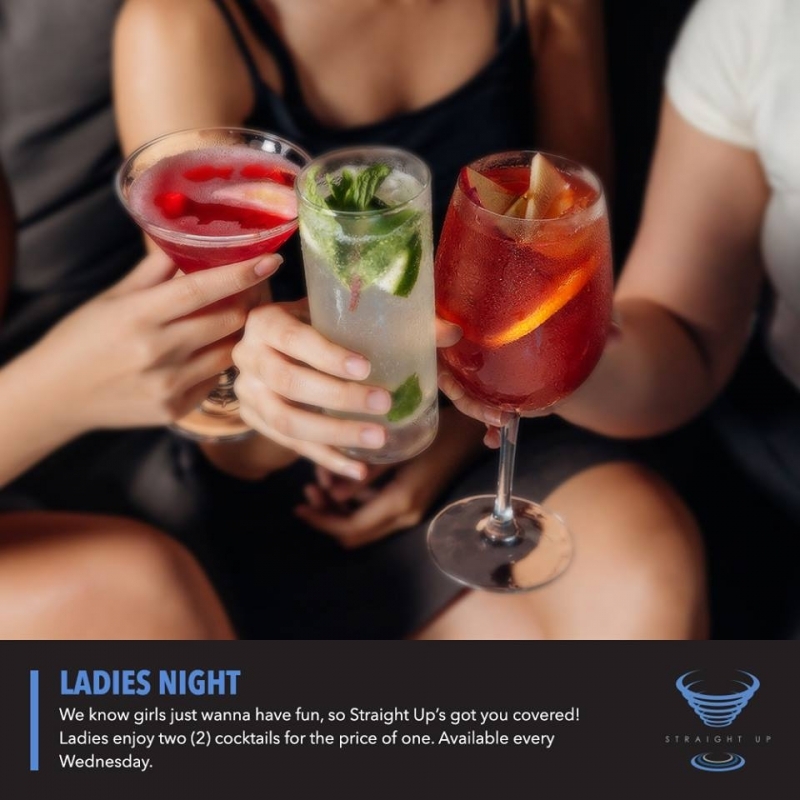 We know girls just wanna have fun, so Straight Up's got you covered! Ladies enjoy two (2) cocktails for the price of one every Wednesday. 4:00PM to 10:00PM only. For inquiries and reservations, call 739-8888 or e-mail [email protected] Terms and conditions apply.